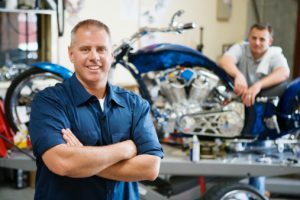 Choosing the Right Uniform for Your Job | Ace Uniform Services, Inc.
How can you choose the right uniform? Finding the right uniform can be somewhat of a challenge. There are so many options not only in style but in color as well. How do you know what kind of uniform is going to suit not only your needs, but the needs of your employees? That’s what we’re here to address today! So, get ready for some awesome tips on choosing the right uniform for your job. Let’s get started. Assess your needs to find the right uniform. If you work in a specialized industry, then you’re going to need a specialized uniform. Automotive personnel may not need lab coats, but they will definitely need coveralls. They’ll need something to cover their clothes and keep them safe while they work with motor oil and other messy chemicals. On the other hand, if you need something to keep you safe from flames, then that should be your first priority in choosing a uniform. What you really need to do is figure out what you need. Let the uniform fill those needs. Create the right look with the right uniform. Creating the right look for your company requires a little bit of thought. Are you a friendly, casual company or are your strict and professional? Do you want people to know that you have differing levels of workers on the site or do you want a universal look? Once you answer these questions for yourself, you need to translate them into clothing. Collared shirts and button-up shirts put out a very different message than t-shirts. Similarly, industry specific clothing puts out a different message than street clothes. Figure out what kind of message you want to send and make sure that the items you choose create the right look. Play best gun game at gun games gungamesz.com website. This entry was posted on Friday, July 29th, 2016	at 3:50 pm	. You can follow any responses to this entry through the RSS 2.0	feed. Both comments and pings are currently closed.